These shuttle solid rocket boosters actually flew. 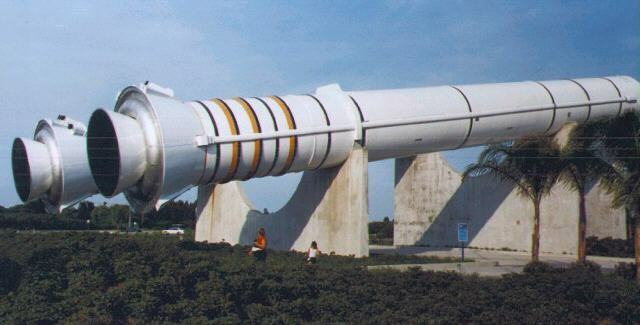 They were refurbished (somewhat) and given to Spaceport USA to display at the entrance. An External Tank is (was) being built to be placed between the boosters.